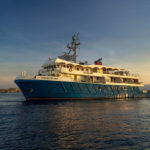 see The Kudanil Explorer is an expedition vessel that accommodates 16 guests in 8 spacious berths. 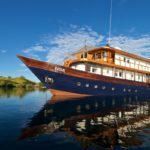 21 crew are aboard to look after guests’ needs as they voyage through the most remote areas of Indonesia in the comfort of first-class boutique accommodation. 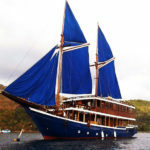 canada drug pharmacy generic viagra Kireina Liveaboard in Indonesia is a newly built (2017) traditional wooden vessel that offers private cruises around the waters of Indonesia for up to 12 guests for both diving and relaxation. At 33.5m in length, she provides plenty of space for relaxation and is built to a high standard with comfort and safety in mind. 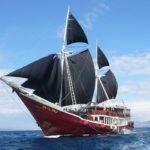 follow site MV CAJOMA V Phinisi is a traditional Indonesian Phinisi luxury liveaboard built 2017 , year round trip to Komodo National Park – Alor – Banda – Ambon – Misool – Raja Ampat – Saumlaki or route are adjustable to customer request. new drug better than viagra wonder This 26.1-meter long eco-friendly sailing vessel was built in 2017 and is a modern take on the classic wooden yacht. Named after the giant Sequoia tree, one of the oldest living organisms on earth, this handcrafted yacht was designed as an heirloom for generations to come. http://allaboutcambo.com/?x=canadian-drugs-online-pharmacy-viagra Rascal is a newly built 31-metre phinisi cruiser that launched at the end of 2016. Handcrafted on Indonesian shores by local shipwrights using ironwood and teak, Rascal was skillfully designed to combine traditional techniques with contemporary facilities. 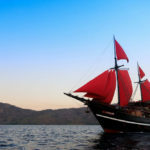 how to buy soft viagra with discount Built by traditional South Sulawesi craftsmen in 2012, the 33m La Galigo dive liveaboard is a traditional two-mast Phinisi sailing boat. It was designed by an avid diver built with liveaboard diving lifestyle and comfort in mind. 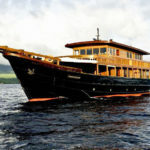 http://testsiegerimvergleich.de/?x=buy-viagra-canada-fast-shipping-no-pharmacy The renowned Aman Resorts’ first foray into yachting in Indonesia, Amanikan is a 32-metre coastal cruise that was custom-built in 2009. Combining the essence of historical cruisers with modern comforts, Amanikan boasts Aman Resorts’ renowned extraordinary service. 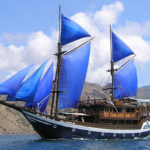 http://wiplon.com/?x=online-pharmacy-india-viagra-any-good The Seven Seas is a 40m (LOA), traditionally built Buginese schooner and has set new standards in Indonesian liveaboard luxury. Custom-designed to accommodate up to 16 guests in spacious comfort over three decks she is perfect for both diving and relaxation. 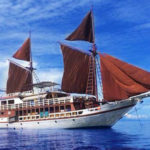 viagra sold by pfizer online pharmacy Seamore Papua Liveaboard is a traditional wooden Phinisi boat which cater for both leisure trip and diving beautiful underwater eastern part of Indonesia. get link The elegant Sea Safari VII has 14 cabins, with up to 28 guests per small ship cruise. All cabins have a private bathroom with complimentary toiletries, air conditioning, and attractive wooden furnishings. Double and twin beds are available. Common areas include an indoor lounge with air conditioning, an outdoor dining area, and a sun deck.